The University of Utah athletics department has announced plans to build a new outdoor tennis stadium adjacent to the George S. Eccles Indoor Tennis Center. Groundbreaking of the $2 million dollar facility is slated for the summer of 2013 and is expected to take 4-5 months to complete. 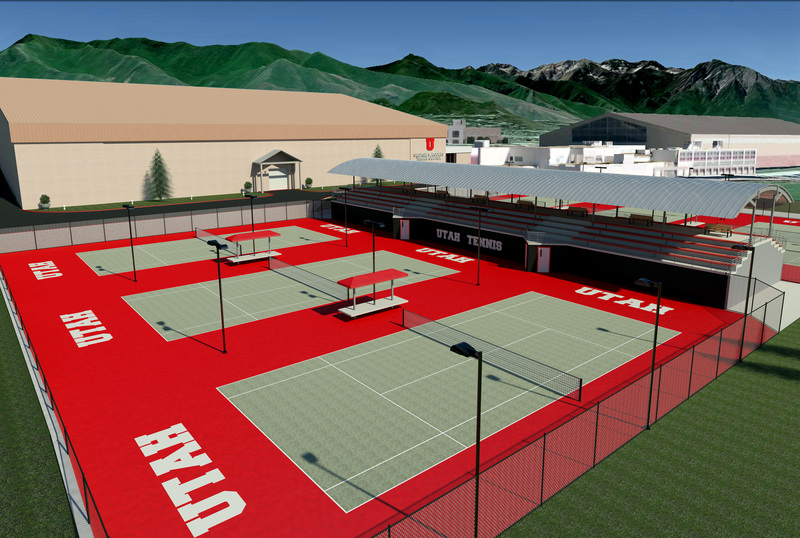 The tennis center will feature elevated seating for spectators, electronic scoreboards, lights and cameras for a web based live video stream allowing friends, family and fans from all over the world to watch Utah Tennis live. Built in 1989 the Eccles Tennis Center features eight indoor courts and has a seating capacity of 1,500. It is one of the nicest and most spacious college indoor facilities in the country and includes both the men’s and women’s coaches offices, players locker rooms and a players lounge. The lounge features leather couches, a flat screen TV and provides our student-athletes with an area to study, relax and socialize off the court. The George S. Eccles Indoor Tennis Center will receive a major facelift in the summer of 2013 as part of the Outdoor Tennis Stadium Project, which will include electronic scoreboards, brand new locker rooms, a Hall of Fame and Team Recognition Area, a new entry way and a video system allowing for live video streaming online. 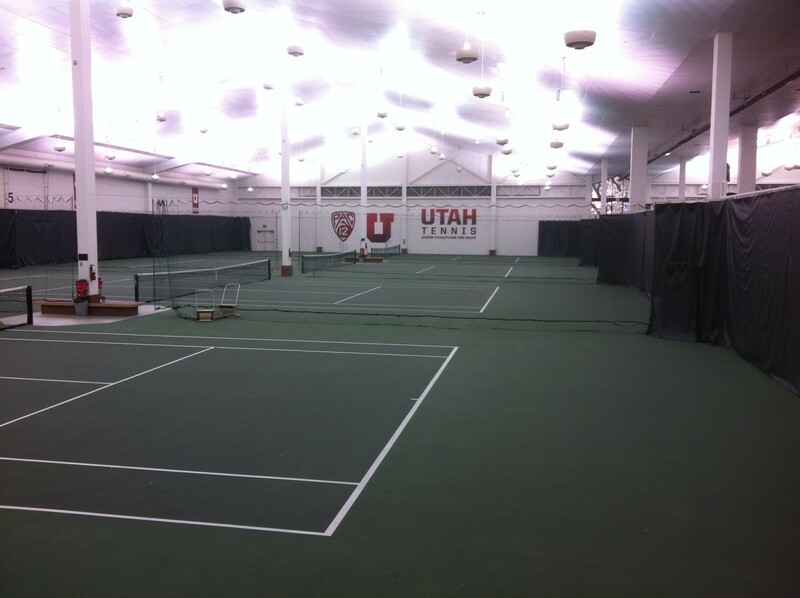 The Ute tennis team, led by strength coach Scott Willis, do their strength training at this state of the art facility. Made possible in part by the generous donation of San Francisco 49ers starting quarterback and former Ute Alex Smith. This 7,500 square foot facility features 16 full racks with olympic platforms, a large dumbbell training area and a large cardiovascular area. The strength and conditioning program concentrates on strength training, injury prevention and motivation. 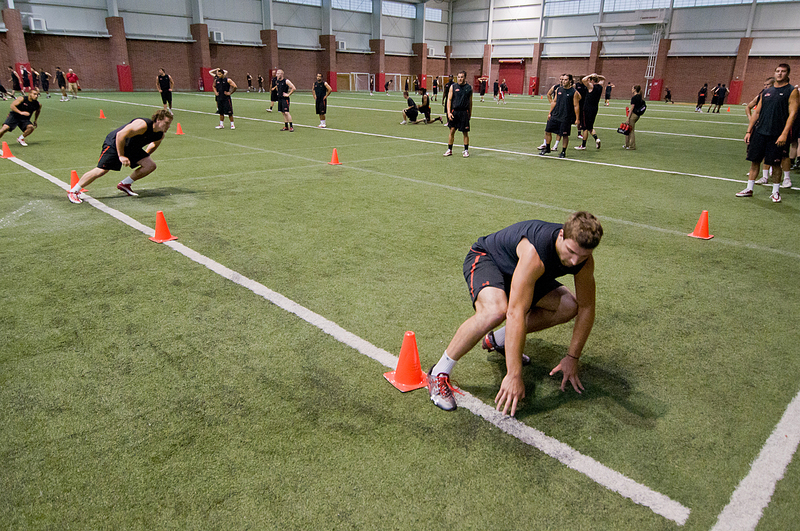 Off season, the Utes will do strength training 3 days a week, while in season that will be reduced to 2 times a week. The Eccles Fieldhouse opened its doors in 2008 and was designed with student-athletes in mind. The men’s tennis team does most of their conditioning program in here. With its soft surface it minimizes hard impacts and it creates an ideal (warm) environment for both aerobic and anaerobic training. Conditioning workouts will be held twice weekly. Part of a $32 million expansion program, the brand new sports medicine facility will feature only the best of the best for Ute student-athletes. It will feature the biggest hydrotherapy project in the United States with 5 state of the art hydrotherapy pools. The new ‘training room’ will furthermore feature taping stations, treatment beds and of course a state of the art rehab section. If on schedule, the project should be completed by the summer of 2013. Also part of the $32 million expansion program is the brand new dining hall. It will have space for approximately 200 athletes at the time. Ideal for the busy lives of student-athletes, who are combining rigorous practices and a full time school load, to enjoy a good, nutritious meal. In combination with an individualized meal plan, sports nutritionist Beth Wolfgram can help student-athletes make better nutritional decisions and will be able to monitor their nutritional intake much better. The project should be ready to serve meals in the summer of 2013. The Burbidge Center is a national-class academic facility which provides unprecedented academic services to student-athletes. 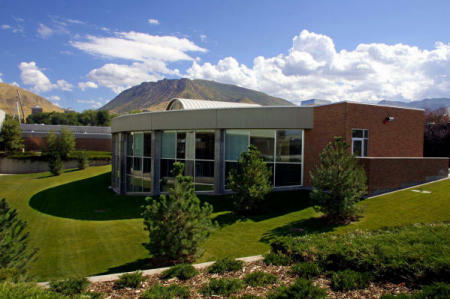 Reserved only for Utah’s varsity student-athletes, the Burbidge Center is known for its aesthetics, technology and academic service. The full service, 11,000 square-foot academic facility us used by all 18 varsity Utah athletic teams and is the true center of academics for our student-athletes. 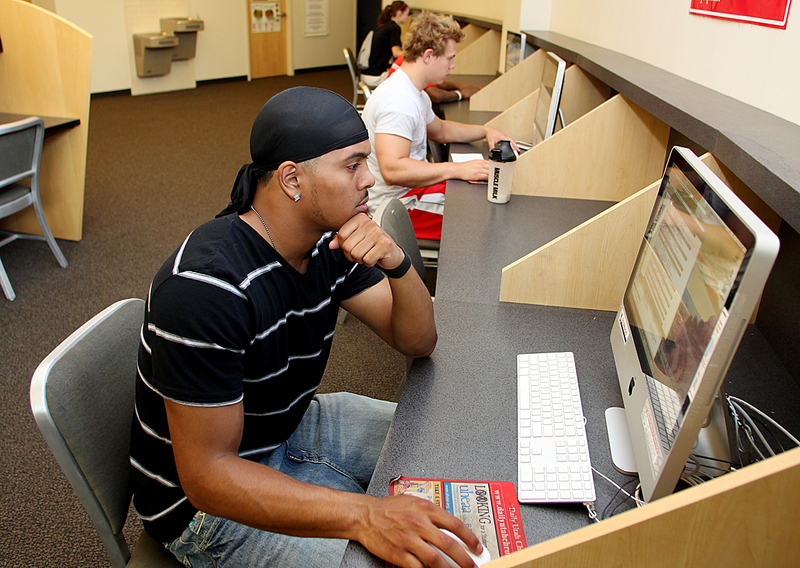 It features a large computer lab, academic advising offices, group and one-on-one tutoring rooms and free printing. On top of that, it houses the award winning Life Skills/Career Resource Center. All services provided are free of cost! Under the direction of our academic advisor, Rob Rainey, each student-athlete will be monitored to ensure that he is making progress toward degree with the highest possible grades. Furthermore, in order to accommodate our student-athletes in the best possible way, they will enjoy priority registration.